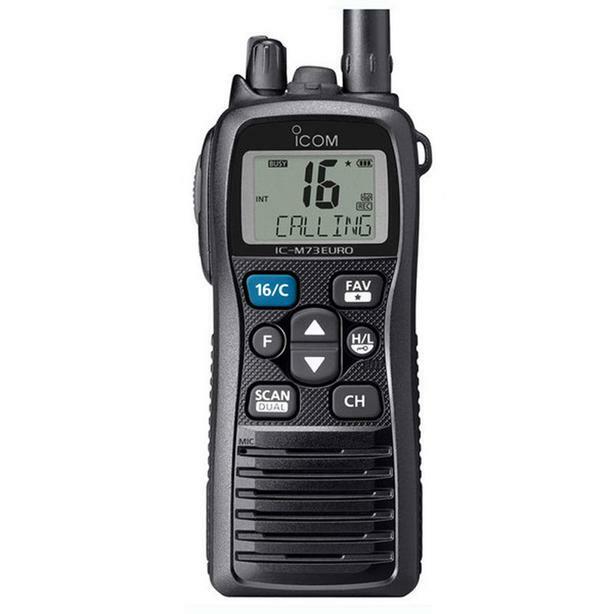 The M73's ergonomic design fits easily in the user's hand and is a rugged, durable radio. The large screen and high intensity LCD offers bright, easy to read characters. Yacht customers benefit from the optional VOX headset and adapter option that allows someone handling dock lines to use both hands, while docking the boat, simultaneously communicating with the captain.